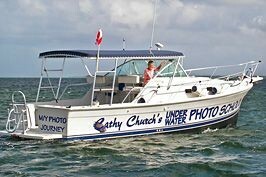 Trips and charters to Stingray City and snorkeling. The luxury side of fun. 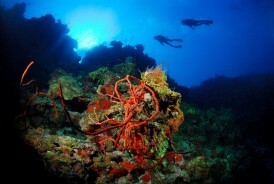 Full Service PADI Divecenter offering a range of dive packages and complete instruction of all levels of diving. Aqua Watersports offers exclusive water-based tours and rentals - transparent kayak tours, snorkel tours on vintage electric bikes, plus classic 4 hour Stingray jet ski tours. 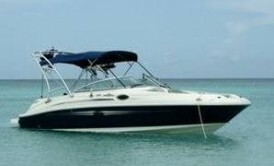 Avalon Marine offers personalized, professional boat maintenance, repair, management and brokerage services for all vessels and watercrafts in the Cayman Islands. Full service dive operation catering to small groups no more than eight. Full service photo center for above and underwater photographers. Underwater camera rentals and sales,classes with or without shore dive. We at CayJet WaterSports Ltd. offer a new and one of a kind experience that gives you the opportunity to fly high with us. 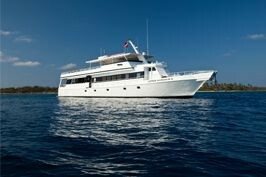 The Aggressor Fleet offers 7 and 10 night all-inclusive charters aboard the Cayman Aggressor IV diving. 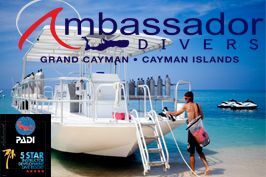 Cayman Diving provides the ultimate dive experience from the beautiful shores of Grand Cayman. Go diving with friends in a comfortable, relaxed atmosphere! Our experienced staff will make your vacation amazing! As the most luxurious private boat charter in Cayman, Five Star Charters provides a one-of-a-kind experience to escape and indulge.